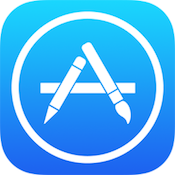 Ever since the App Store launched in 2008, Apple has imposed a limit on how big an app file that is downloaded from the App Store can be. While apps and games could expand upon installation, the initial download could not exceed 2GB. That size limit has for the most part been adequate, but as iOS hardware improves and new frameworks like Apple’s Metal allow for more graphically intensive games, the app files are bound to blow up right alongside it. It has become more and more common that an app, and especially a game, would sit beyond the 2 and even 3GB level once installed on a device. As our sister site MacRumors notes, Apple today has officially upped the size limit of App Store downloads, doubling the limit from 2GB to 4GB. This, in Apple’s own words per the announcement on their developer portal, will allow developers to “include more media in your submission and provide a more complete, rich user experience upon installation." Apple also notes that this announcement does not affect or change the current 100mb over-the-air download limit that was introduced in 2013. You may recall that Apple has tested the waters with an increased download limit with the launch of Disney Infinity Toy Box 2.0 (Free) late last month, which weighs in at a whopping 3.8GB when downloaded from the App Store. Since Apple has close ties to Disney, and since Infinity Toy Box 2.0 uses Apple’s Metal framework to provide a rich graphical experience, it kind of made sense they would relax the rules a bit for that particular app. However, now it seems like that was more of a test case as the increased limit has been made available to everyone.